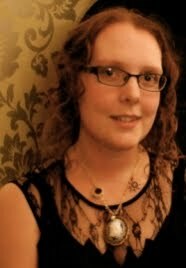 Hello Jenni from Juniper's Jungle! Jenni is no stranger to Fluttering Butterflies as she is one of my favourite bloggers and friends. My life would be a much worse place without her in it! So I'm thrilled that she's here today and here talking about some rather swoonworthy TV boyfriends. When Clover asked for guest posts for Love Month I knew exactly what I wanted to write about, my current crop of tv boyfriends. These are the men I love most of all in my favourite tv shows, the ones I wish would appear in real life and whisk me away to somewhere warm and exotic. 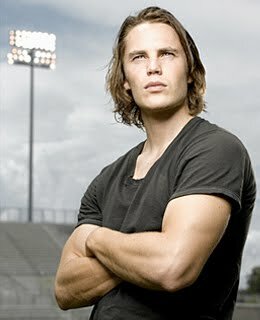 The first name that instantly springs to mind for me is Tim Riggins. I know I’m not alone in having a crush on this troubled football player, I’ve lost count of the number of times I’ve ended up in the middle of rapid paced discussions on Twitter about him. So why do I love him? Well other than his obvious physical appeal there’s his loyalty, his huge heart, and the way he tries to do the best for everyone else. He may make some bad decisions along the way but he always makes them for the best of reasons. When I first started watching Supernatural I was wowed by both of the Winchester brothers. Initially Sam grabbed my attention, he could probably give Hardison a run for his money in the most attractive geek stakes, but the more I watched the more I knew I belonged on Team Dean. He can come across as a little gruff and intense, but then he cracks that beautifult smile and all is well with the world. He is fierce in his protection of his family and close ones, being prepared to make huge sacrifices for them on numerous occasions. 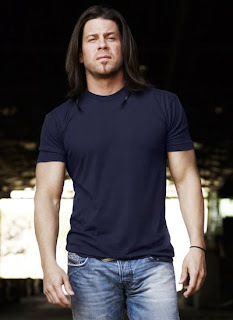 And his taste in music is pretty similar to mine so there’d be no arguments about what was played in the Impala, regardless of who was driving. Oh I do like a bad guy who’s become a good guy. Well almost a good guy. 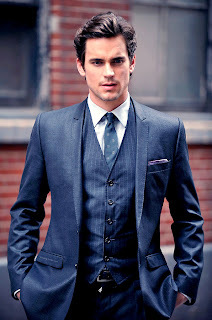 Neal Caffrey is smooth, suave, eloquent and utterly charming. He’s also incredibly intelligent, when he starts talking about the items he’s stolen or forged in the past, or the best way to pull off a con I’m quickly reminded just how attractive smart is. Neal’s a total flirt, turning it on as soon as new female crosses his path, but deep down he’s a real romantic. He’s a bit of a throwback to a bygone era, whether he’s wearing immaculately tailored vintage suits or singing a swing number he manages to ooze that timeless charm. So there we have my list. It’s a jolly good job there’s no need for monogamy when it comes to tv boyfriends because I really don’t know which one would get the job! Ah, I love this list! 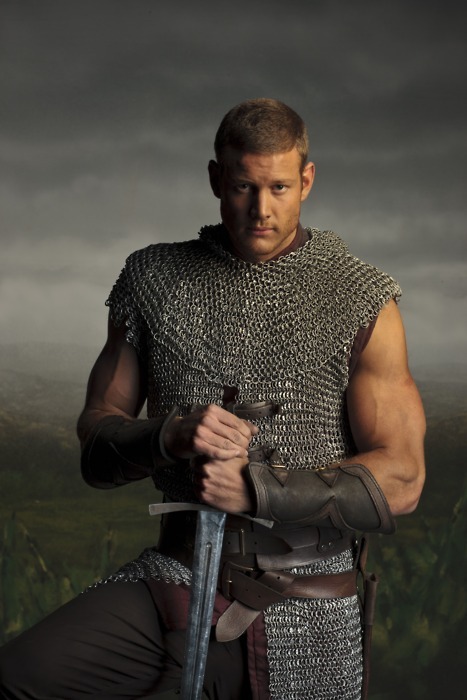 Sir Percival is known simply as 'Sir Arms' at my house, due to his penchant for sleeveless chainmail. But I still haven't seen FNL or White Collar. I AM A FOOL. 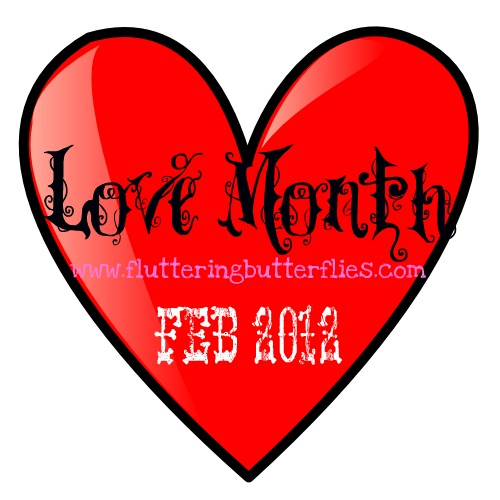 Awesome post, thanks to you both - I love Love Month! Sleeveless chainmail? It's a hazard! Also, loving the comments. SIR ARMS! That's exactly what I'll be thinking when we watch Merlin again. Also, White Collar is looking all kinds of appealing. I love Alceede from True Blood, he'd have to be on my list!